The Faroe Islands make up a remote archipelago in the heart of the North Atlantic Ocean. This Nordic destination consists of 18 major islands and is over 600 miles away from Denmark. 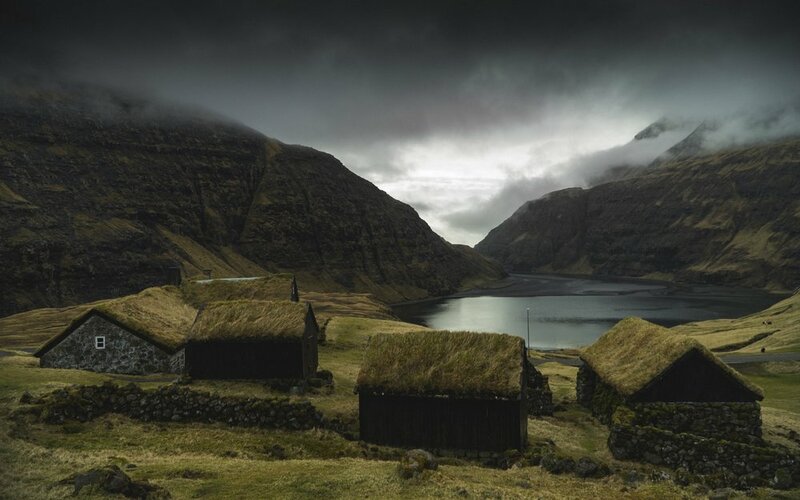 Apart from being part of the Kingdom of Denmark, the Faroe Islands is a self-governing archipelago renowned for its controversial whaling practices. It is not an easily accessible destination nor is it made for budget traveling. However, it has some magnificent sights. The landscape is nothing short of breathtaking and resembles fantastical worlds like Middle Earth. Vistas full of luscious hills, jaw-dropping cliffs, and the majestic Atlantic Ocean make for some beautiful photographic opportunities. A place as pristine as the Faroe Islands needs protection and the local government is working hard to promote sustainable tourism. In fact, The Guardian reported that the islands will be closed in late April to prepare for incoming tourists. Only a number of ‘voluntourists’ will be allowed in to help with their ongoing projects including putting up trail signs to help reduce the impact. Tourism will definitely help boost the country’s local economy. 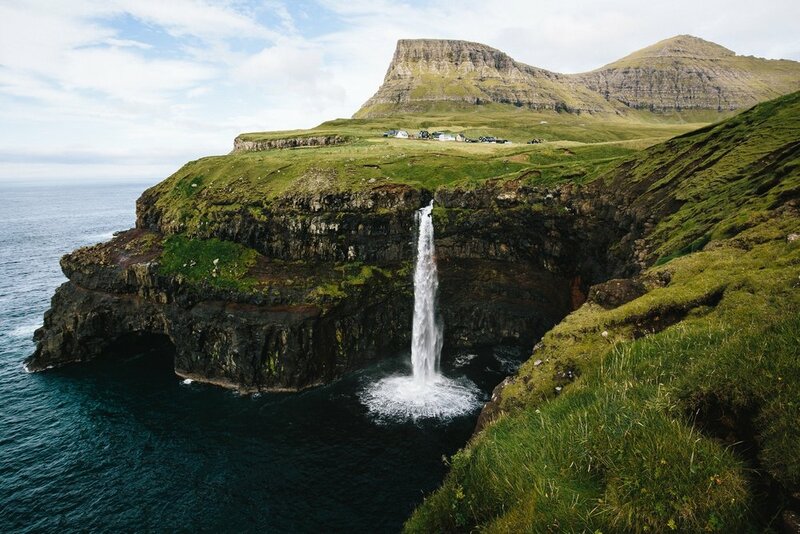 While the Faroese are making sure that it’s done sustainably, visitors need to be responsible as well to keep the islands in pristine condition. Here’s how travelers can do their part. In the capital city of Tórshavn, Hotel Havgrím is leading the way in terms of sustainability. The seaside hotel takes pride in harnessing energy from renewable and sustainable geothermal energy. The hotel also uses locally sourced produce as much as possible and eco-friendly cleaning products. If you’re traveling to the quaint village of Gásadalur, check out Gásadalsgarður Guesthouse. The location is very idyllic and surrounded by cascading waterfalls. While the amenities might seem basic, there’s something quite charming about this place. It’s also a good representation of the hygge culture of the Danish people— cozy, comfortable, and not excessive. One of the ways you can practice sustainable backpacking is to stay in locally owned hotels. You can also stay in Airbnbs, cabins, or check for available campsites. Getting around the Faroe Islands is fairly easy and the public transportation is efficient and affordable. Some people choose to rent their own vehicles and camper vans but you might easily burn through your fuel if you’re planning on visiting all the islands. Although helicopter rides are a popular way of seeing the islands, it’s not environmentally friendly. Another way of getting around is on two wheels. A feature on the Faroe Islands by Cycling Tips shows just how easy and safe it is to explore the country on a bike. Some of the roads are unpaved and, rough especially when going up to the western island of Mykines. 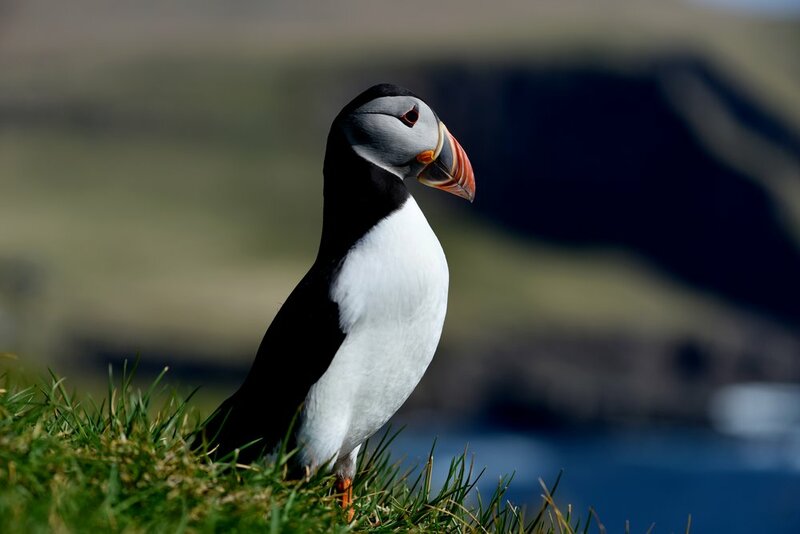 However, the views are spectacular, and you can expect to see a lot of sheep and puffins during the summer. Prepare for cold weather as well, as the Faroe Islands are known for its sub-polar oceanic climate. The Faroe Islands is every adventurer and landscape photographer’s dream destination. Hiking is one of the lowest impact activities you can do. If you are visiting Mykines, make sure to stop by the lighthouse for the best seat in the house. The hike takes about four hours. The nearby village also requires a visit, so you can see what the Faroese do in their day-to-day lives. Also check out the Sørvágsvatn Lake in Vágar, the largest island in the country. The towering cliffs are breathtaking, and it’s also known as the place where the lake and ocean meet. Some of the small towns are also worth exploring. Gjogv might just be one of the most charming villages where iconic multi-colored houses can be found. If you drive down from Tórshavn, pay a visit to Toftir, a sleepy lake village perfect for relaxation. However, it does come to life whenever the men’s national football team play their home games. Svangaskarð, is the Islands’ largest stadium. A feature by Coral describes Svangaskarð as one of the most picturesque stadiums in the world, as it’s strategically located on top of a hill and overlooks the coast. It mainly serves as a football stadium but is used for other activities. Hopefully, you’ll get to catch a match during your visit! Because of the climate, Faroese cuisine consists of a lot of dried, fermented, salted, and smoked fish and meats. 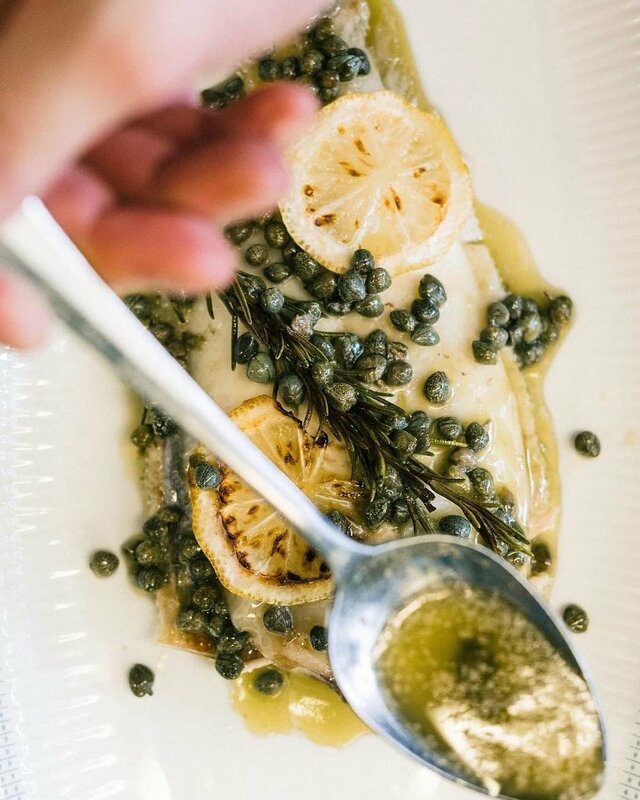 Local restaurants are the best places to eat at such as Barbara’s Fish House in the main city. The best thing about the Faroe Islands is that they have really embraced their local food, as the Financial Times details that fast food chains have failed in the region. Many residents also practice heimablídni, which essentially means opening up their homes and dining tables to visitors. So, the best way to fully immerse yourself in the culture is to dine with the locals. One thing to remember while traveling is to say no to single-use plastics. Reducing plastic consumption was detailed in Backpacking with the Bonds as it easily creates waste. 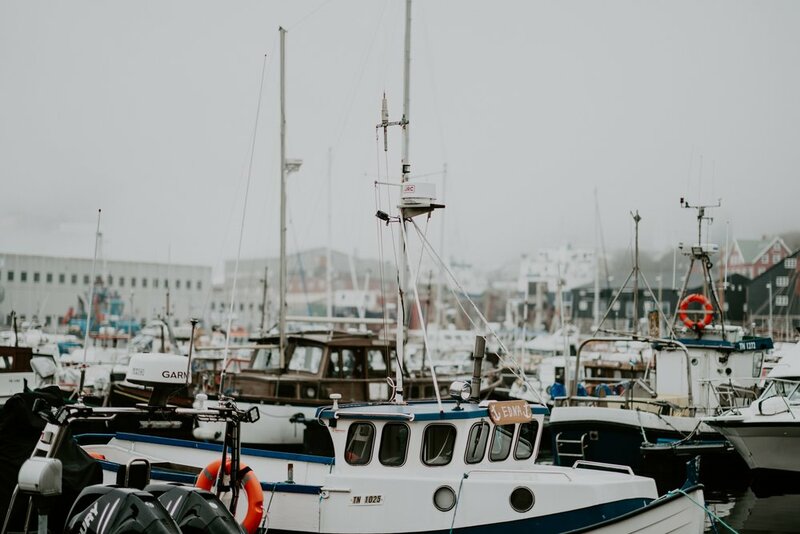 A place like the Faroe Islands, which thrives on fishing and its clean ocean, can't afford to deal with discarded plastic. Hopefully, these tips will help you explore the islands more sustainably.